Monthly club meeting is Thursday 11/04/19, 8pm start, New Hartley Social Club. Weather has been terrible recently so why not get along to our monthly club meeting for a chat. Meeting is Thursday 14/03, 8pm start, New Hartley Social Club. Thanks to all the members that have already paid there 2019 subs. If you still need to pay please get in touch. Keep an eye on your emails as subs night invitations and direct debit details will be sent out soon. FLYING IS NOW SUSPENDED until Monday 16th July at the earliest due to North East Chilli Festival. Do not fly until our area is clear of all campers and vehicles etc sometime on Monday. The 5 day weather forecast is looking terrible for flying at the field. Saturday 31st and Sunday 01st show NE winds so might get a fly with the gliders at the Sluice. Beginner of the year 2017 Jacob Mills, Congratulations. Pictures available from images link above. Chairmans Award winner 2017 - Eric Gibson & Rosie, Congratulations. Pictures available from images link above. Renewal letters for 2018 were emailed/posted to all members. If you have not received yours please contact us. *** FPV FLYERS *** The CAA ANO Exemption was renewed on 28/4/17 If you fly FPV Please read through this new document. It is available above under "Club Rules"
***ALL MEMBERS*** There have been some changes to our flying rules agreed at the 2016 AGM. Please read through these to keep up to date. Thank you. Thank you to all the members who attended 2016 AGM. The club have now reached a new 3 year agreement with Newcastle Air Traffic Control (ATC). Blyth kite festival will take place at the adjacent field to our strip (rugby pitches) from the 30th April to the 2nd May 2016. The organisers have assured us that all kite flyers will be aware of the boundaries with our club and there will be no flying of kites within our area. However, BVRMC members are reminded about our rule number 5 (not overflying other activities) and pilots should therefore ensure a good distance of separation exists between model aircraft and the kite festival. Blyth Valley Radio Model Club wish the organisers of the kite festival a very successful event. Members should be aware that Northumberland County Council only permit flying at Meggies Burn by Members of BVRMC. In addition, the only permitted flying area authorised by the Council is the flying site currently used. The Council do not allow flying anywhere else. A big thank you to all Members who attended subs night. Together with members paying by direct debit we have already renewed 102 members for the 2016 season. Individual renewal letters for 2016 were emailed/posted to all members on 27th November 2015. If you have not received yours please contact us via the contact form below. If you attend the monthly Churchill indoor fly-in, please note the organisers have been in touch to advise the event has been cancelled until further notice. At the 2015 AGM Members agreed a rule change that Sunday flying (for IC powered models) should commence at 10:30am (as per Monday to Saturday). If you attend the monthly Churchill indoor fly-in, please note the organisers have been in touch to advise the event has been cancelled until November 2015. Members should note that the Tour of Britain cycle event will be taking place at Blyth on Wednesday 9th September 2015 (between 1pm and 4pm) It is likely that the links road will be closed during this time and access into and out of the field may not be possible. 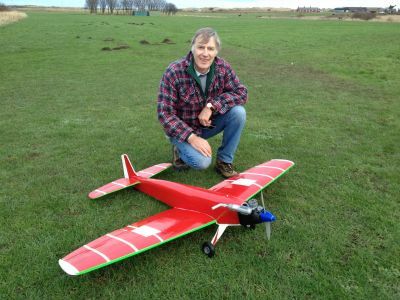 On 16th August 2015 a member was found to be flying his model over the corn field behind the club car parking area. This was a blatant infringement of club rule number 5 and puts the tenure of our site in jeopardy for all other club members. The member in question has been spoken to regarding his actions and all members should be advised that the Club will not tolerate any further blatant infringement of rules by any member. Many congratulations to Berry Assadian who won the draw at the May 2015 club meeting for a weeks holiday at the RC Hotel in Corfu. Blyth kite festival will take place at the adjacent field to our strip (rugby pitches) from the 2nd to the 4th May 2015 (10am to 5pm). The organisers have assured us that all kite flyers will be aware of the boundaries with our club and there will be no flying of kites within our area. However, BVRMC members are reminded about our rule number 5 (not overflying other activities) and pilots should therefore ensure a good distance of separation exists between model aircraft and the kite festival. Blyth Valley Radio Model Club wish the organisers of the kite festival a very successful event. Many thanks to club member Barry Harnett for popping down to the field today to tidy up the grass verge around the seat paving. Teds family have been in touch to advise Teds funeral will be held at Blyth crematorium on Monday 19th January at 1pm. All are welcome at the Crematorium but family only afterwards. No flowers requested but a collection will be available for the Great North Air Ambulance. We are sad to report the passing on Monday 29th December 2014 of club member Ted Young. Ted was one of our longest serving members and will be greatly missed by all. Our deepest condolences go to Teds family at this difficult time. Many thanks to all those who made the effort to attended "subs night" last night, it is much appreciated. We have now renewed 80 Members for the 2015 season. At the 2014 AGM Members agreed a £1 reduction for 2015 BVRMC Club subs. In addition the BMFA have frozen their subs for next year. See "BVRMC Latest" for next years fees. Club AGM is on Thursday 13th November at New Hartley Victory Social Club Melton Terrace, New Hartley NE25 0RL (starts 8pm Prompt) - Upstairs room. A raffle draw will be held plus a free buffet. MEMBERS ONLY. Click "BVRMC Latest" for more detail. Longhorsley LMA are hosting a "fly in" on Sunday 28 September 2014. Flying commences at 10.30am (Please note a minimum of BMFA "A" certificate is required). Many congratulations to two BVRMC Members for their success at the BMFA Nationals. Nigel Armstrong came second in the Masters and Gerhard Fehringer placed 4th in the FAI class. Members are reminded not to fly at Meggies Burn from Thursday 7th August to Sunday 10th August due to the "Big Kid" circus on the adjoining field. Flying can recommence on Monday 11th August. Club meeting 10th April 2014 at New Hartley Victory Social Club Melton Terrace, New Hartley NE25 0RL (starts 8pm Prompt). Club meeting 13th March 2014 at New Hartley Victory Social Club Melton Terrace, New Hartley NE25 0RL (starts 8pm Prompt). Club meeting tonight 13th February 2014 at New Hartley Victory Social Club Melton Terrace, New Hartley NE25 0RL (starts 8pm Prompt). Our first club meeting of 2014 will be on Thursday 9th January at New Hartley Victory Social Club Melton Terrace, New Hartley NE25 0RL (starts 8pm Prompt). Many thanks to all those who made the effort to attended "subs night". We have now renewed over 80 Members. It is with sadness that we report the passing of long time club member and former club BMFA delegate Frank Scullion. Frank will be greatly missed. ***NO FLYING AT MEGGIES BURN WEDNESDAY 10th JULY and THURSDAY 11th JULY 2013*** The Council have requested a temporary cessation of model flying as Meggies Burn is being used for other radio activities which may cause interference. A crashed model can nearly always be repaired! Check out the rebuild of a Capiche 140 by Iain Jeffrey in the Articles area (building board). Thank you for contacting BVRMC Committee. We will get in touch with you as soon as possible.